Welcome to the Chicago Organized Workers League- the worlds first Super-Hero Labor Union! While C.O.W.L. once stood as a beacon of hope against an epidemic of organized crime and an unbeatable brotherhood of Super-Villains, the union now faces its fiercest foe yet-a disillusioned public. 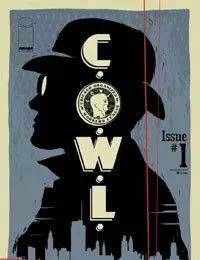 In targeting the last of the great villains, C.O.W.L. attempts to prove its value to the world and to each other, while staving off villainy from both outside and inside its offices.